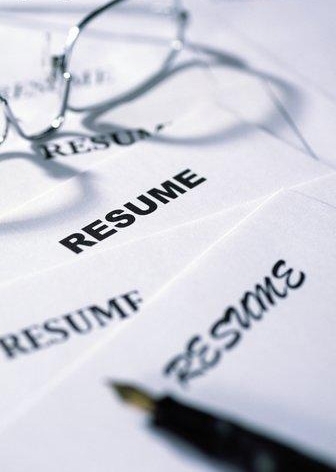 Most do not understand the importance of writing a correct resume. Companies don't just sift through resumes, they actually read about each interested candidate. It could prove to be the difference between the right and wrong career choice. Therefore, follow these few resume tips regarding your resume and watch the right offers pour in. Clear and Concise: No need to add needless information in the resume. Keep it as clear and readable as possible with all the relevant information. Advertisement: In an age where even fast food vendors advertise themselves, why should you stay behind? Your resume should be an advertisement for your skills and qualifications. Take Cover: Another important part of your resume is the cover letter. A good cover letter is like an introduction about the candidate and helps the recruiters understand your personality, which is half the battle won. Tech-Know-How: Companies look after candidates with sound technical knowledge. Today, technology is used even in the most menial jobs; hence, it is an added advantage if you have good technical knowledge. Specify: Companies mostly look for candidates that have a specific qualification. If you have that specific qualification, like the use of a specific computer program etc, mention this fact and it will surely land you the right offer. Keep it Professional: Your resume has to be professional at all costs. Resist the temptation of using different fonts. Use professional fonts like Times New Roman or Calibri that are readable. Weird fonts are justified only if the resume is of a designer of any other artistic profile. Proof Read: There are quite a few resumes mistakes that make rounds in joke websites; make sure your resume is not one of them. Proof read your resume well and remove even minor errors. We have a resume section where you are sure to find the right resume tips. All the above-mentioned points have been incorporated in them. Just click on the link and you will have your perfect resume.